We’ve had the pleasure over the last 30 years of working with many PUSD (Phoenix Union School District) high school gymnasium floors including the Central High School Bobcats. 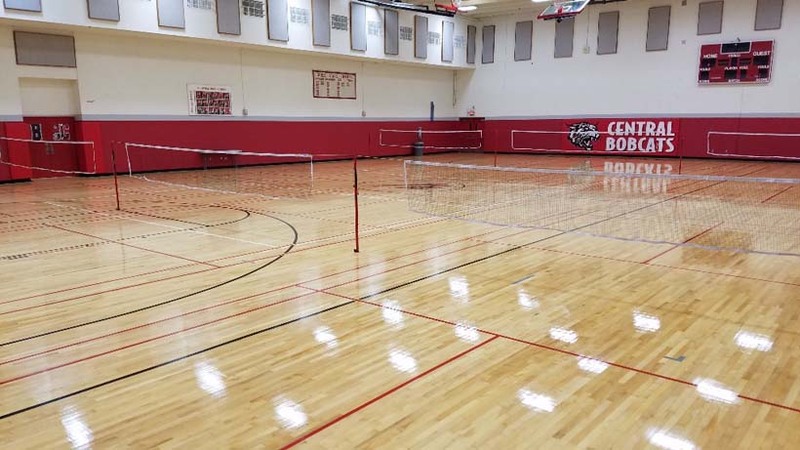 Although this project is a couple of years old, it is still a testament to our continued commitment to providing our clients with sports flooring services that best suit their particular situation and Central High School was no exception. We met with the District Facilities Supervisor to go over the options for Central High School’s Practice gymnasium as the last time that we had resurfaced the gym floor was over 16 years ago. As we did a walk through to evaluate the gym floor, we quickly realized that multiple boards needed replacement including areas were water had damaged the flooring by the exterior door over the years. Also, due to the Arizona humidity, several areas of the floor had started to expand which in turn caused the floor to buckle. In all, we repaired150 plus boards replaced 250 square feet of 1st-grade maple flooring and adjusted over 85 linear feet due to the crown in the floor (buckle). The Sports Flooring System included the following. Once we completed the repairs, we sanded the whole floor down to a smooth grit and applied two coats of Bona Kemi Sport sealer. Bona Sports Sealer is explicitly made to give a high-quality finish required for sports flooring. A newly refinished gymnasium wouldn’t be complete without new lines for Basketball, Volleyball, and badminton and we also installed Central High School Bobcats updated logo. From school gymnasiums to home renovations and luxury corporate offices, our team of custom wood flooring installers and refinishing professionals always deliver premier service to our customers. Contact Arizona Hardwood Floor Supply to learn more about Action Floor Systems or give us a call at (623) 742-9663 (WOOD) to speak to one of our friendly estimators. We also invite you to visit us at one of our 3 Valley locations in Gilbert, Phoenix and Scottsdale, AZ.